Nelson Ireson April 13, 2011 Comment Now! 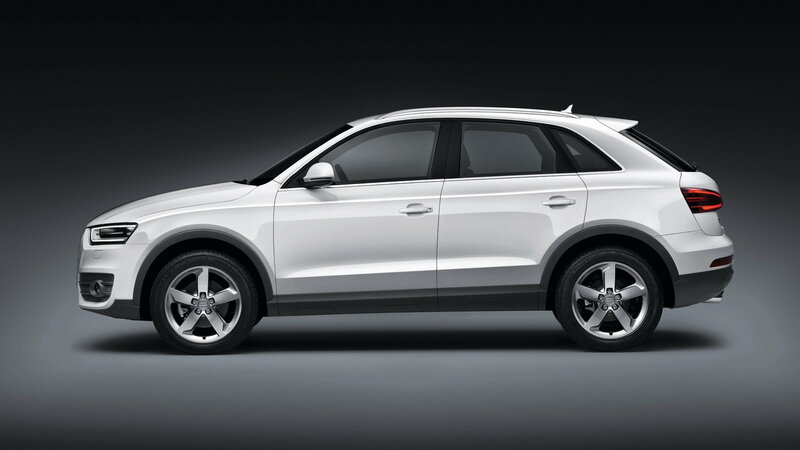 Sketches, spy shots, and speculative factoids have swirled around the 2012 Audi Q3 for years now. Today, we have the official info ahead of its official debut at the 2011 Shanghai Auto Show. Straight to the oily bits: the 3,307-pound Q3 is powered by a trio of four-cylinder engines at launch. 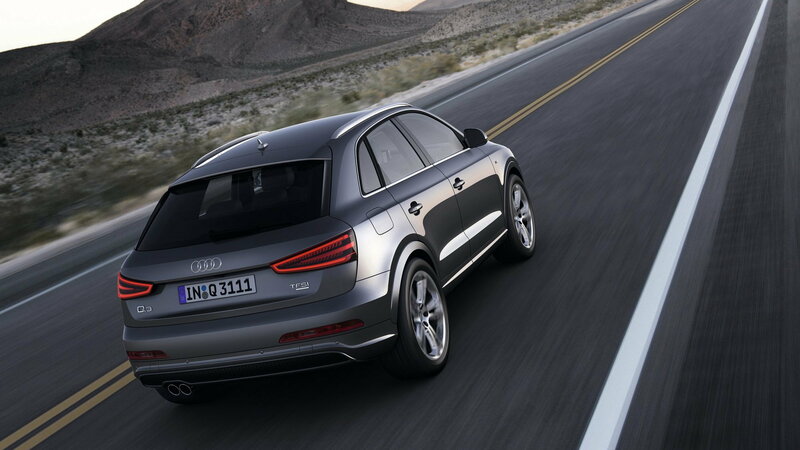 The only diesel available at launch is a 177-horsepower TDI 2.0-liter available with quattro all-wheel drive. The other two are gasoline burners. A TDI 2.0-liter turbodiesel slots into the global base Q3 after the launch. It's not yet clear if we'll see this one in the U.S., though Audi does quote 45 mpg US in its release when paired with front-wheel drive. The weaker diesel generates 140 horsepower--the same number as Audi's sister brand VW gets from its 2.0 TDI engine. It's the gasoline engines that are a bit more exciting. 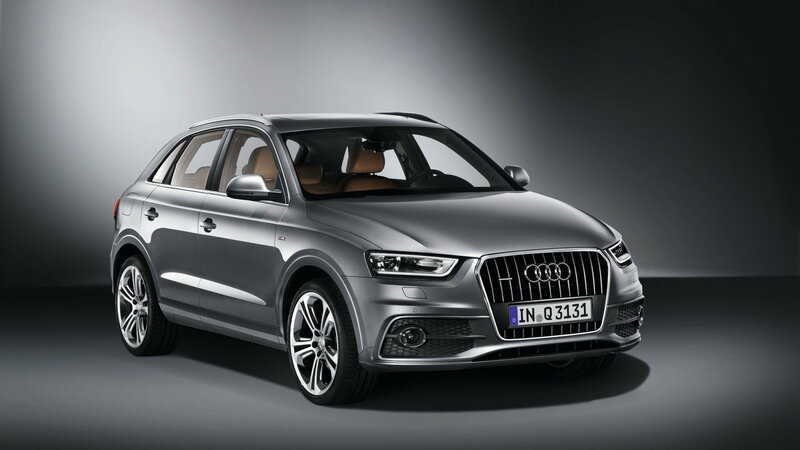 The most powerful of the TFSI gasoline engines rates 211 horsepower and comes with standard quattro all-wheel drive and a seven-speed S tronic transmission. The middle child at launch rates 170 horsepower, and like all the other Q3 engines, displaces 2.0 liters. The weaker TFSI mill also gets quattro all-wheel drive. Beyond the powertrain spectrum, the Q3 is what you'd expect from Audi in terms of styling, options, features, and size. Perhaps most interesting in the cabin is the MMI navigation plus system, an available Bose surround sound stereo, and WLAN hotspot capability. 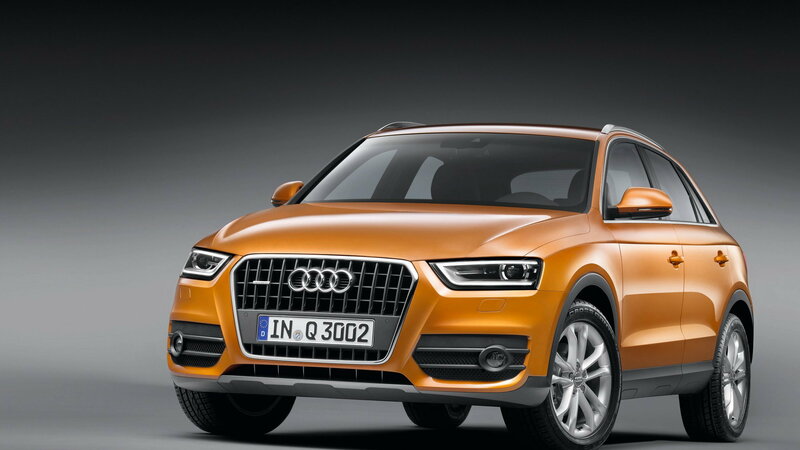 The Q3 will be a tech powerhouse despite its small-crossover exterior. Underpinning the whole works is a chassis with four-link rear suspension, electromechanical power steering, optional adaptive dampers, and brakes made to handle the Q3's sportier tendencies. Given the Q3's hatchback-like weight, you might expect it to be light-duty only, but it comes with a tow rating of up to 4,400 pounds. A full complement of safety gear, electronic stability control, driver assists, and more is also just under the surface of the Q3. We'll keep you posted with U.S.-market-specific updates as they are released, but for now, the gallery above should tell you most of the rest of the story.